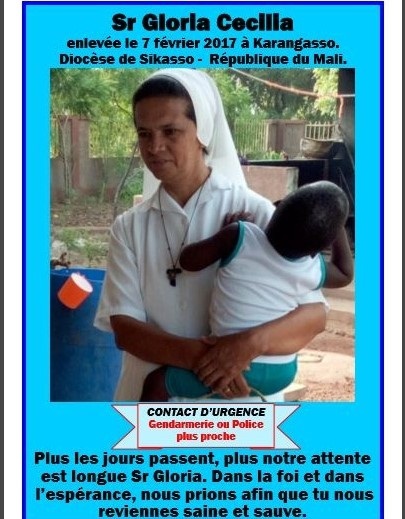 It’s been more than two months since a Colombian nun was kidnapped in southern Mali, a relatively safe part of the country, which has been mainly unaffected by Islamist attacks. 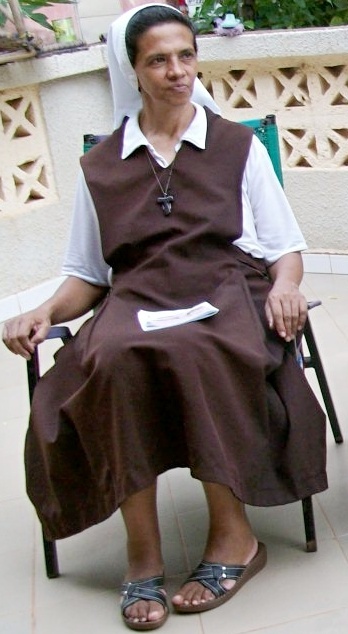 Gloria Argoti, in her sixties, was kidnapped on 7 Feb, when assailants broke into her convent in Karangasso, 300km from Bamako, the capital. So far, no news has emerged regarding her whereabouts and no group has yet claimed responsibility for her abduction and detention, while searches by security forces continue. According to local sources, four people have been arrested and detained in Bamako; three of them have worked for the convent for years. 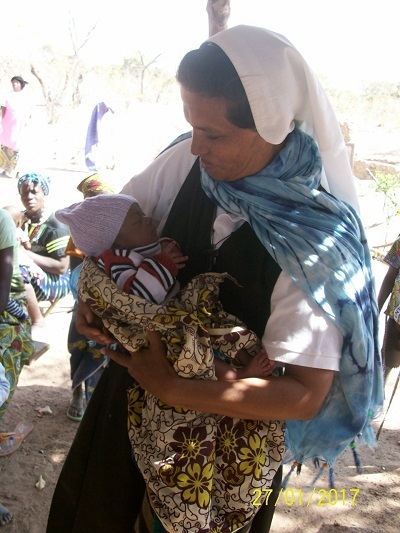 In the small town of Karangasso, there is a strong feeling of “disquiet and anguish”, Father Basile Dembele, the General Vicar of the Diocese of Sikasso, which oversees Karangasso, told World Watch Monitor. The kidnapping of Sr. Gloria constitutes a “serious setback” for the inhabitants who benefited from services and support provided by the convent, he said. Sr. Gloria has been living in Karangasso for six years, taking care of orphans, but now the orphanage has been forced to close, he added. So too have a workshop where women and young girls used to learn sewing, and the health centre, as the four other nuns who used to live and work alongside Sr. Gloria have all left. “They now live in a secure place,” said Fr. Dembele, who lamented that “the activities of the parish have been affected”. The 7 Feb. kidnapping, the latest in Mali, came as a surprise. Until recently, southern Mali was seen as a relatively safe area, where foreigners could live and travel safely. The kidnapping of the Colombian nun suggests the reach of the militants is growing. It was the first incident in southern Mali since the November 2015 attack which claimed 22 lives at the Radisson Blu hotel in Bamako. It was also the first targeting a national from a Latin American country, though Europeans had previously been targeted by the jihadist groups active in northern Mali. In December, a French-Swiss aid worker was kidnapped in Gao, a city in the north. Sophie Petronin, who ran a non-governmental organisation that helps children suffering from malnutrition, had lived in Gao for years. A year before (on Jan 8, 2016), a Swiss missionary was kidnapped in Timbuktu, also in northern Mali. A video released by Al-Qaeda in the Islamic Maghreb on 10 Jan 2017 appeared to show that Beatrice Stockly was still alive. Fr. Dembele bemoaned the lasting impact of insecurity on projects operated by Westerners, such as missionaries or aid workers, as they may be forced to relocate to Bamako or elsewhere. For now, pending the outcome of the investigation and searches, in the Diocese of Sikasso and across the country, the churches are praying for a breakthrough. “Prayer sessions are organised regularly in all the communities – for the liberation of Gloria and for God to touch the hearts of the captors,” said Fr. Dembele. The churches’ campaign has included messages and prayers on local radio stations and the distribution of flyers and posters.